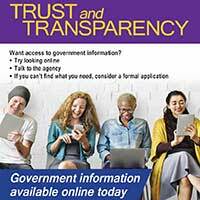 Right to Information Day (RTID) is celebrated annually across Australia and around the world on 28 September. Queensland marks this occasion by acknowledging the contribution of the Right to Information Act 2009 (Qld) (RTI Act) to facilitating greater and easier access to government-held information. 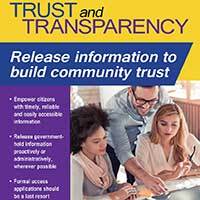 This year’s theme is ‘Trust and Transparency’ as we focus on moving from adopting the principles of the Right to Information Act to embedding a deeper culture of openness and transparency within the public sector. This contributes to building greater trust in the services we provide to the community. RTID is designed to raise awareness of every individual's right of access to government-held information; and the public sector’s responsibility to release information, if it is in the public interest to do so. It is a day on which citizens and governments from around the world can support this fundamental human right and promote open, democratic societies in which there is full citizen empowerment and participation in government. The Solomon Lecture is an annual event for RTID and recognises Dr David Solomon’s contribution to facilitating greater and easier access to government-held information. Get involved - become a Right to Information Day partner! OIC is encouraging government agencies and private sector organisations to become a partner in this year’s Right to Information Day activities. Being a partner is free, easy and is a fantastic opportunity to highlight your organisation’s commitment to information rights and support for a more open, transparent and accountable government culture. Email us at events@oic.qld.gov.au for more information, or to join the RTID 2018 Partner Program.